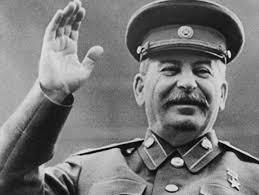 "Stalin, who took over as Soviet leader upon Lenin’s death in 1924, drastically expanded the scope of those branded as 'enemies of the people,' targeting not only capitalists but also dedicated communists who had worked alongside Lenin for years, but whom Stalin viewed as rivals." Thousands were branded "enemies of the people." The branding amounted to a death sentence, and thousands did perish. Trump's love affair with Russian totalitarianism now includes the adoption of language once favored by one of the great tyrants and butchers of history. With that language goes also his dictator's attitude toward those who cross him. Thank God for those courageous newsmen and -women who have the resources to burrow into this man's motives and actions and inform the rest of us, for the sake of our democracy. They keep burrowing, and are finding jack s**t.
The more they show themselves to be partisan hacks, the less people will listen to them. Gee, Jerry, now you say Russia's the enemy ?? I thought you and Pam had Uncle Joe's autograph, courtesy of his left hand pal, FDR, of course.